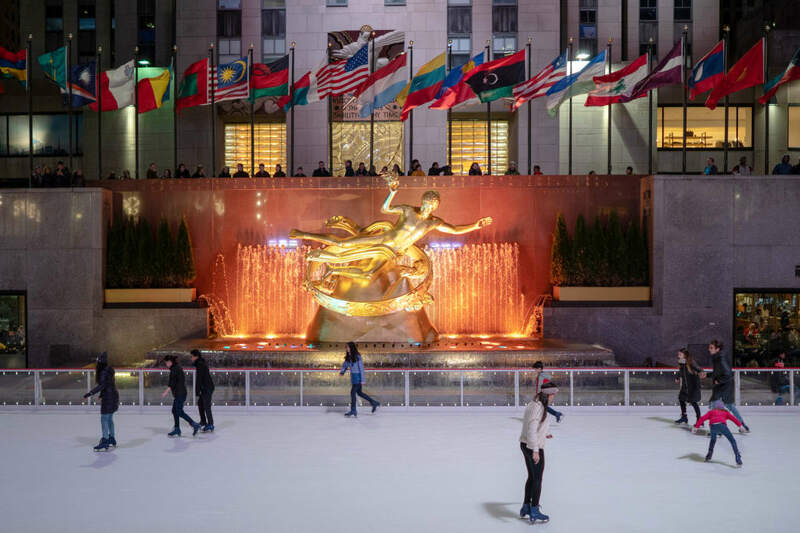 Even if you’re a person who enjoys the change of seasons, sometimes you just need a break from the cold. Week after week of bundling up gets old, and when too many gray days pile up, an escape is just what you need. If lounging on a beach sounds better than donning scarves and shoveling snow, we’ve put together some inspiration to start packing those bags and getting out of town. Here are five destinations that will give you a boost of warm weather—and the opportunity to take the trip of a lifetime. 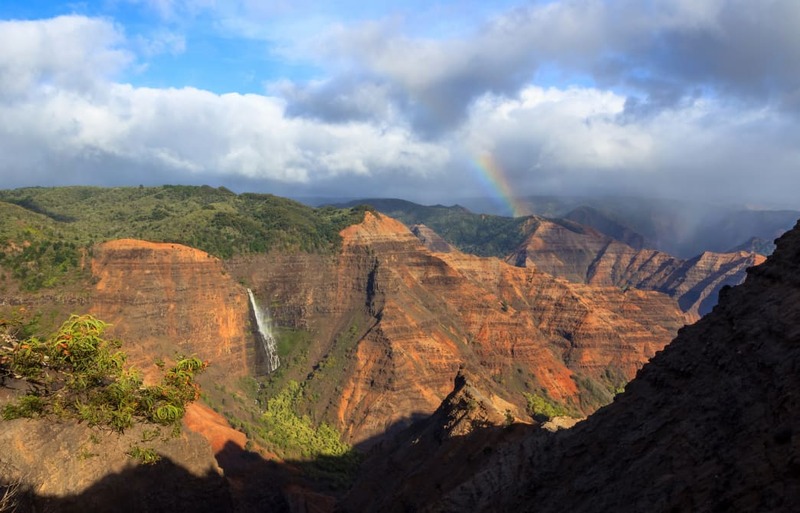 Waimea Canyon is a must-see destination on the island of Kauai. You can’t really go wrong anywhere in Hawaii, but a trip to Kauai offers a truly spectacular setting. Known as the Garden Island, Kauai is the greenest part of the state, filled with tropical rainforests, rivers, waterfalls, and pristine beaches. You’ll also find dramatic cliffs and jagged mountains that make this island unique, and if the scenery looks familiar, it’s because several movies have been filmed here, including Jurassic Park. It’s less developed than the other main islands, and you’ll find yourself overwhelmed by its natural beauty. It’s an outdoor lovers playground, with incredible kayaking, surfing, zip-lining, and hiking. Take a relaxing dip at Kalapaki Beach or stand in awe at the views of Waimea Canyon, known as the “Grand Canyon of the Pacific.” Not only will you chase away those winter blues, but you’ll also experience one of the most beautiful places on earth. What do you wear on your island adventure? Tommy Bahama was made for this lifestyle. For men, the Hawaiian shirt is, of course, the choice for relaxing with a drink. Check out the Beach Crest Blooms IslandZone Camp Shirt, one of the many options. You don’t need to travel halfway around the world for a winter escape—the Florida Keys have long been a winter playground for those looking to escape the cold. While Key West and Key Largo tend to get all the press, they aren’t the only options on this chain of islands off the coast of Florida. Try Islamorada, just 90 minutes south of Miami, to get a little more off the beaten path. This community of six islands sits between the scenic Everglades and the clear, blue waters of the Florida Strait. Epic sport fishing, great snorkeling, and average temps in the mid-70s make the Florida Keys a great option when everyone else is scraping windshields and turning the thermostat up. Sun protection should always be a top priority in tropical climates—especially for those coming from cloudy winter climates. No matter what you’re doing outside, protect your arms with Sun Sleeves, a comfortable way to ensure all-day coverage. Not everyone wants to lay around on a beach, so maybe you’re among the travelers looking for an adventure destination? Kuala Lumpur, Malaysia’s capital city, is a fascinating mix of old and new and a true melting pot of cultures. It’s a place where you can visit Little India and Chinatown in the same day. Where futuristic towers stand in juxtaposition to traditional mosques and Hindu Temples. See the tallest twin towers in the world, visit the spectacular Bird Park (with more than 3,000 birds spanning 20 acres), and climb the 272 steps into Batu Caves to see the temples and monkeys. The street food is legendary in Kuala Lumpur, as is the shopping, from modern multi-story malls to streets lined with local vendors. With average temps in the 90s, the focus has to be on cooling. The Banana Republic has the perfect travel pants for men. They’re light, wrinkle-resistant and have extra stretch for freedom of movement. For women, a versatile travel piece is the Don’t Leaf Me Now IslandZone Midi Dress. It’s lightweight, super soft, figure flattering, and uses 37.5 Technology with active particles to allow for high-performance evaporation. .
San Carlos de Bariloche offers those from the Northern Hemisphere a taste of summer from December through April. 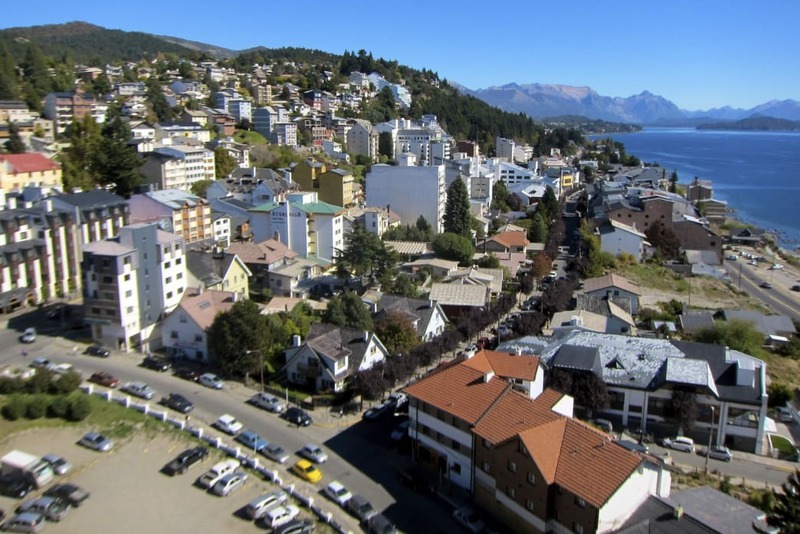 San Carlos de Bariloche is stunningly beautiful, forested lake town smack dab in the center of Patagonia. While it’s known as a ski haven in the Southern Hemisphere, it hovers in the 70s from December through April, making it a perfect warm weather option for those in the Northern Hemisphere. Picture shocking blue lakes and clear rivers dotted with green islands among a dramatic backdrop of rolling emerald foothills and the soaring, snow-capped Andes. The mountains make their own weather, and it gets chilly at night. Fortunately, 37.5 Technology is perfect for this kind of variable weather. Layers are key here, so pack Rab’s Merino 120 baselayers for men and women. Wear it alone when warm, then layer it as the sun sets. With 300 days of sunshine a year, Queensland is almost guaranteed to be pleasant. Surf the Gold Coast, dive the Great Barrier Reef, or watch hundreds of tiny turtle hatchlings take their first steps toward the ocean in Bundaberg. Cuddle a koala, chase waterfalls while trekking through a tropical rainforest, or visit Boodjamulla, Queensland’s best-kept secret. Located in the Outback, this national park features emerald-green streams snaking through towering red sandstone cliffs. It’s some of the best hiking, kayaking, and camping you’ll find, and is easily considered one of the most beautiful places in all of Australia. Brisbane also has award-winning restaurants, with everything from street food to fine dining and farm-to-table experiences. Try a mango fresh off the tree, enjoy roasted macadamia nuts, eat seafood caught an hour ago, and wash it all down with amazing local wine. When packing for Australia, men should check out JoS. A. Bank’s Travel Tech line. From head to toe, they’ve got wrinkle-free, quick-drying and comfy clothing that doesn’t look like it belongs on safari. For women, Mission knows that no modern woman goes anywhere without a comfy scarf and her trusty leggings. So this winter, trade gray skies and dark evenings for white sand and drinks with little paper umbrellas. And make sure to pack some of the smartest material out there. Fabric enhanced with 37.5 Technology dries quickly, breathes well, and helps regulate the body’s temperature, making it perfect for travel wear and anyplace where conditions change constantly. You’ll be comfortable wherever you end up going.